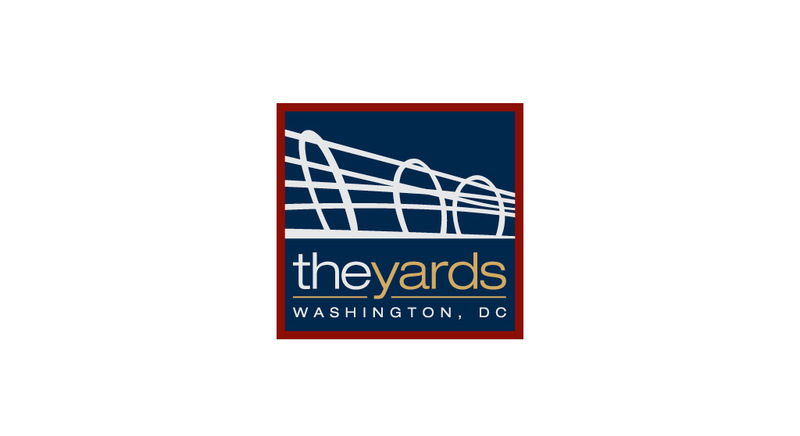 The Yards is a mixed-use development in Southeast Washington, D.C., that includes residential, commercial, retail and green space. 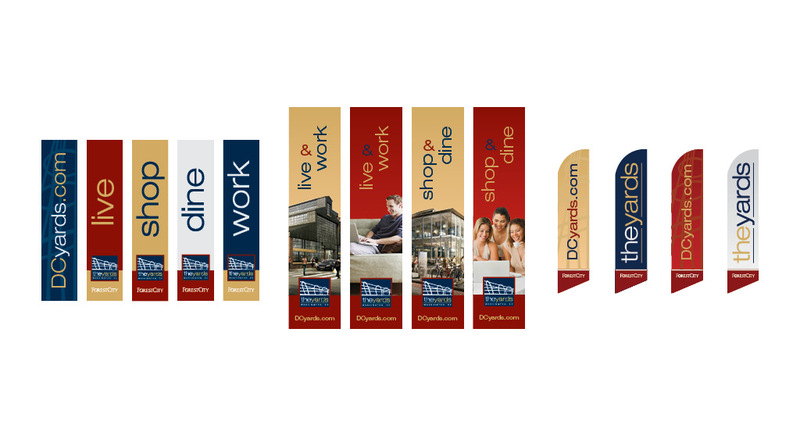 As the agency of record for the initial branding of The Yards, Delucchi Plus provided logo, signage and collateral design as well as public relations support around specific events. 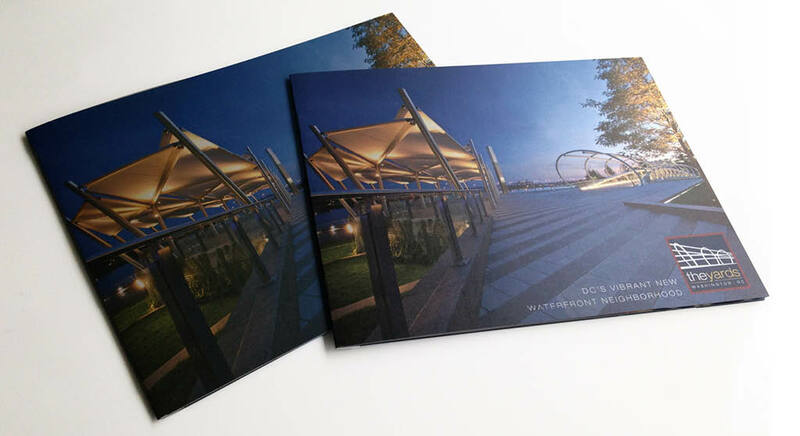 Our mission was to build brand buzz and manage negative, safety-related perceptions of the neighborhood, Metro’s Green Line, and the Anacostia River. On a chilly Wednesday, November 20th, we commissioned an artist, Kelly Towles, to take an extremely beige and abandoned government building in The Yards neighborhood and create DC’s largest canvas with a pour mural. With 111 gallons of paint, a cherry picker and some old-fashioned gravity, Kelly provided the building with some much needed color. 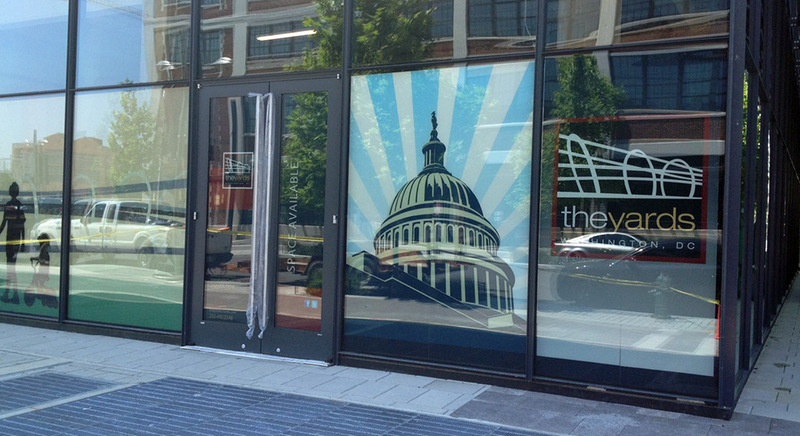 #ArtYardsDC was a wildly successful event that included multiple news outlets, a giant surge on social media and a large collection of visitors to check out the pour mural, two additional murals, 3D chalk art, a lighting performance, and two events. 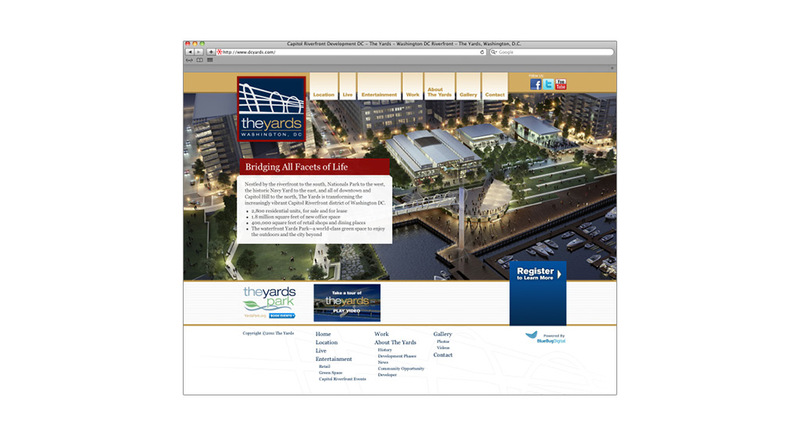 Thanks to the development of more positive sentiment, The Yards has quickly become a destination for many of the District’s most desired businesses. In addition to the development and quick leasing of ultra-contemporary housing complexes such as Foundry Lofts (one of the fastest lease-ups in the company’s history), the neighborhood also attracted a 50,000 square foot Harris Teeter grocery store; local high-end fitness facility VIDA and its popular Bang Salon, Aura Spa, and Penthouse Pool Club and Lounge; salad chain Sweetgreen; the first brick-and-mortar location for popular food truck TaKorean; New York City-based Chef Michael White’s first D.C. restaurant; and the Boilermaker Shops with Bluejacket Brewery. 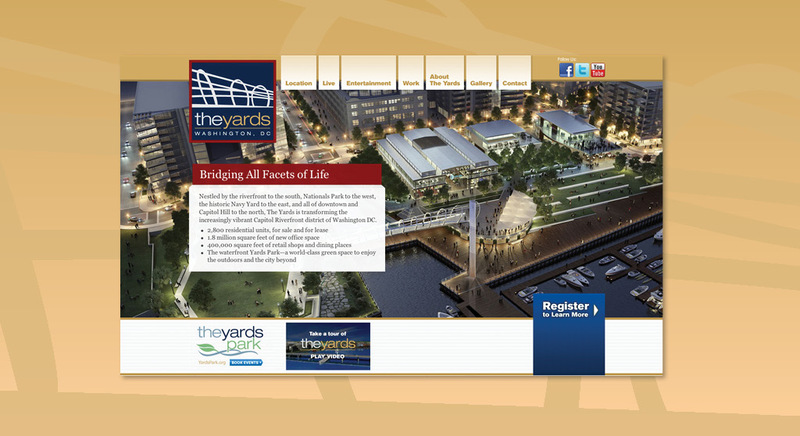 In addition, Yards Park was awarded the Urban Land Institute’s Urban Open Space Award.